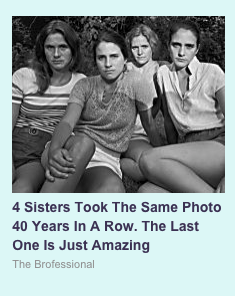 Nicholas Nixon’s magisterial, monumental, canonical, epic, large-format, Brown Sisters project turned into click bait!! Hard to know where to begin with the clash of temporalities that is evoked when you stumble across a click bait link that uses one of museum photography’s most canonical projects. As has been celebrated for decades, Nicholas Nixon’s Brown Sisters project — shot on 8 x 10 film and contacted printed into luminous prints once a year, every year, over 40 years or so — proceeds at the same pace as time itself. 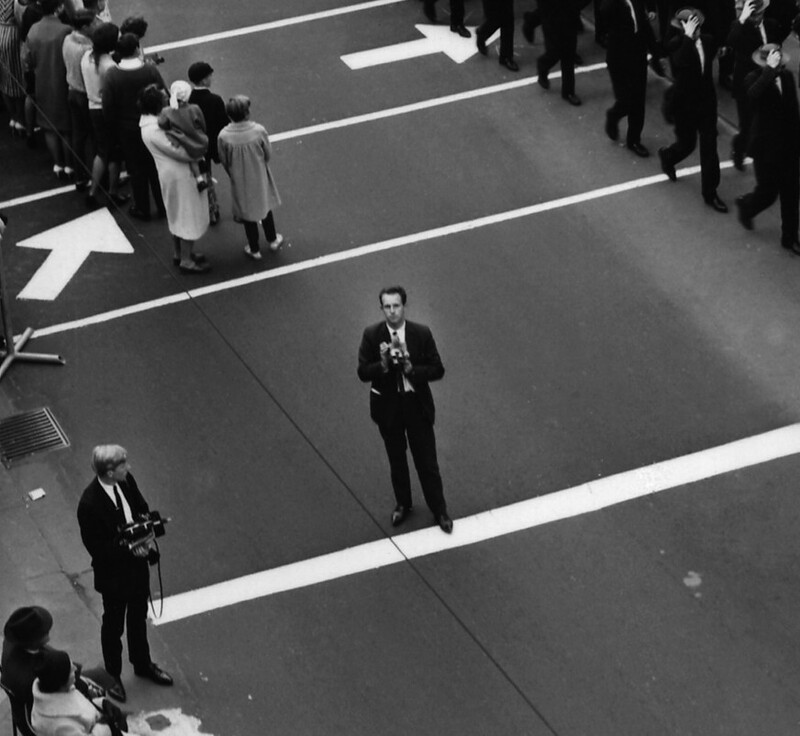 It records memory and mortality for a lifetime’s worth of unfolding on museum walls and in art house photobooks. The click bait version, with it’s breathless drive to click through to the next spectacle of temporal ravagement, is certainly compelling, but the noble contemplation of flesh growing into time is replaced with impatience for the next shot to load. In the click bait version authorship is wrested from Nixon and invested in the sisters. But the downside for them is that are unwittingly cast in a soap opera of aging. Posted on December 4, 2016 by martynjolly. This entry was posted in Blog and tagged 2016, click bait, Nicholas Nixon. Bookmark the permalink.